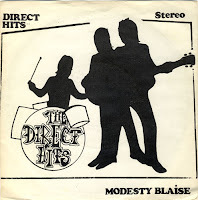 Very sixtys inspired powerpop by this british Neo-Mods trio. And it's a good one. I can't find info's about the band. Their 4th and final release before they split up. 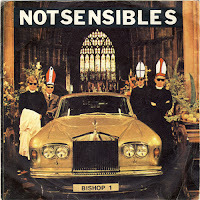 Two killer powerpop tracks with great funny lyrics. The band is on the road again. Meet the band here and here. Second single by the Belfast/N-IRL based powerpop kings ! What a killer ! 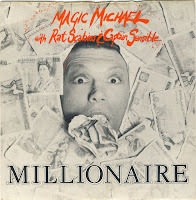 US band with an english release. Okay pubrock/punkrock. Both tracks are taken from their only selftitled album. Meet the band here. 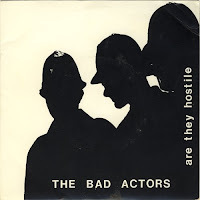 The 4th 7" single by this english band and it's taken from their album " Emotional Warfare". 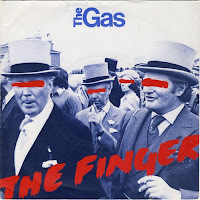 "The Finger" is the hell of a catchy song ! This great number turns for hours in my head after i heard it. The b side is a non Lp track. 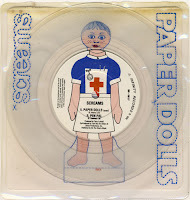 "Animals" is a strange post punk/new wave number but the aa side is a real punk cracker ! 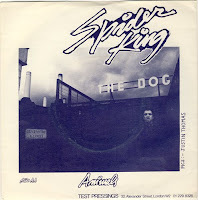 I don't know if Spider King was a band or only an one man projekt. I can't find infos about this record. First output from this UK band. The title track is great punk stomper. They also released a second single named "Strange love" in 1981. A band (maybe) from Hyde/UK with their 3rd 7" single. Good punky powerpop. This was never released with a picture cover. I can't find any informations about this band. 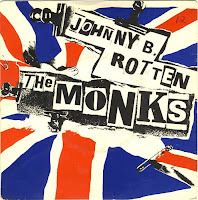 Great 3rd single by the Monks. Meet the band here. 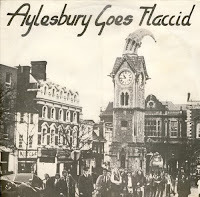 Superb local compilation from Aylesbury/UK. I own this record for many years now and i had a lot of fun to record this platter for this blog. It's really a great one and i enjoy every song on this record ! After 30 years, the compilation is now available on CD. Read more here. Second output by this four piece group from Wales on the highly collectable "Lightning records" label. And it's a good record. 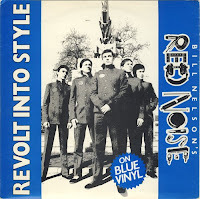 Second single of Bill Nelson's Red Noise. 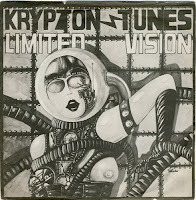 "Revolt into style" is great quirky powerpoppy New Wave number in the vein of XTC. The single reached no. 69 in UK charts. Read more here and here. Thanks to Kidnap who inspired me to this post. A masterpiece of a record ! Still one of my all time favourites ! 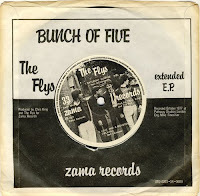 This was The Flys first record. "Love and a molotov cocktail" was later re-released by the major record company EMI. 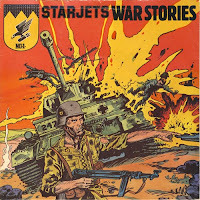 Fifth single release by the Belfast boys "Starjets" . The single reached no. 51 in the UK charts. The b-side is a non-album track. Read more here. 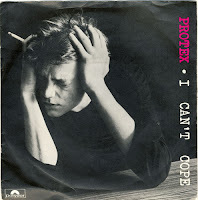 Fourth single from the Brighton/UK mod revival outfit. 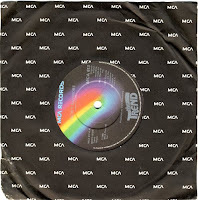 This is the release with the renamed song "Page 3" (Another day). First issue with a different cover was banned. 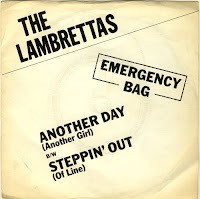 Jez Bird , singer of The Lambrettas, sadly died in August 2008. Read more here and here.